The size and type of oven on Waiouru is important for both of us. Jan will have to use it and I will eat the results. The first decision Jan made was it would be a wall oven with a separate bench top hob. The second decision was the cooking would be done with gas. As Waiouru will have a “thru” galley Jan perceived a problem with removing hot items from the oven. This would be due to the open oven door extending into the galley isle. We think we’ve resolved this problem by selecting a Spinflo Duplex oven & grill. 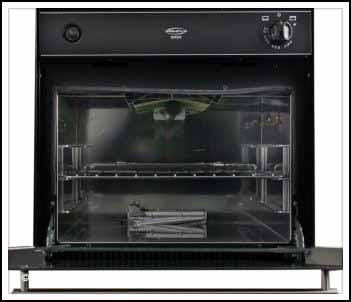 The unique feature of this model oven is after the door is opened it slides back under the oven compartment removing the oven door from the galley isle. This will enable Jan to stand directly in front of the oven when removing hot dishes. Jan would also like to commence purchasing oven pots and pans. To do this she needs to know the capacity of the oven. Unfortunately the literature provides the external dimensions of the oven and the volume of the oven cavity. However after some Google searching I found a site which included the actual internal dimensions. Jan can now measure pots and dishes prior to purchasing them to ensure they will fit in the oven.